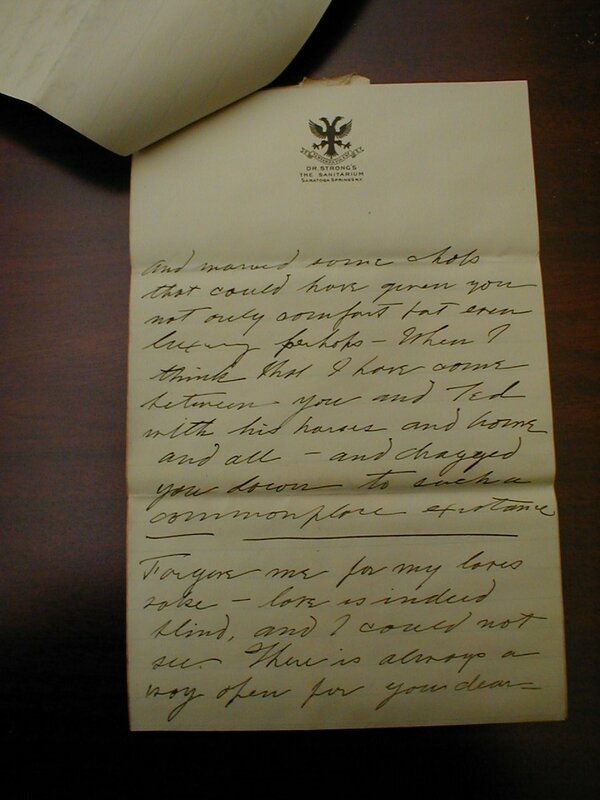 A study of the personal correspondence between Louis McHenry Howe and Grace Hartley Howe (second cousin to Lizzie Borden) cannot help but make one wonder if this man misplaced his unwavering devotion to President Franklin Roosevelt over the love for his own wife and family. The letters reveal a man conflicted but unwilling to remove himself from the virtual shadow of FDR where he relished being so close and so influential to the power on the throne. 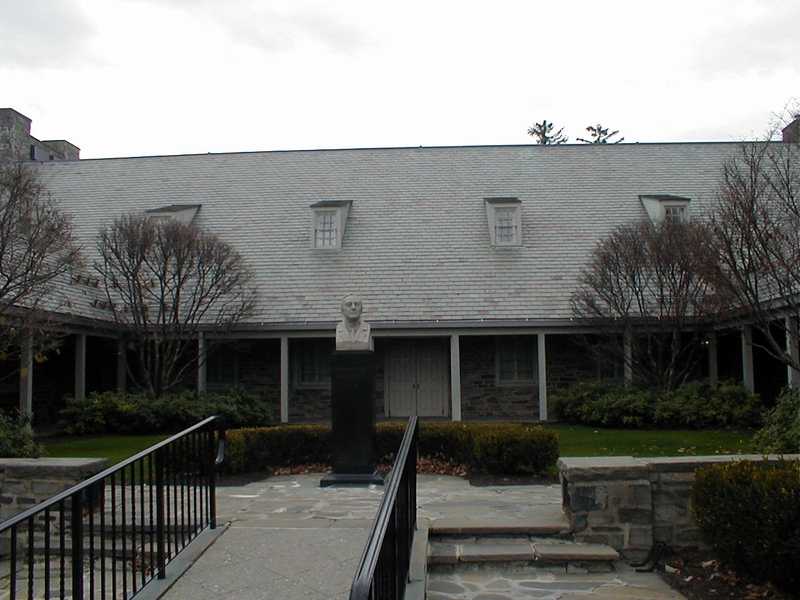 Julie M. Fenster’s excellent book, FDR’s Shadow, is the first to reveal these letters stored at the FDR Library in Hyde Park, New York. 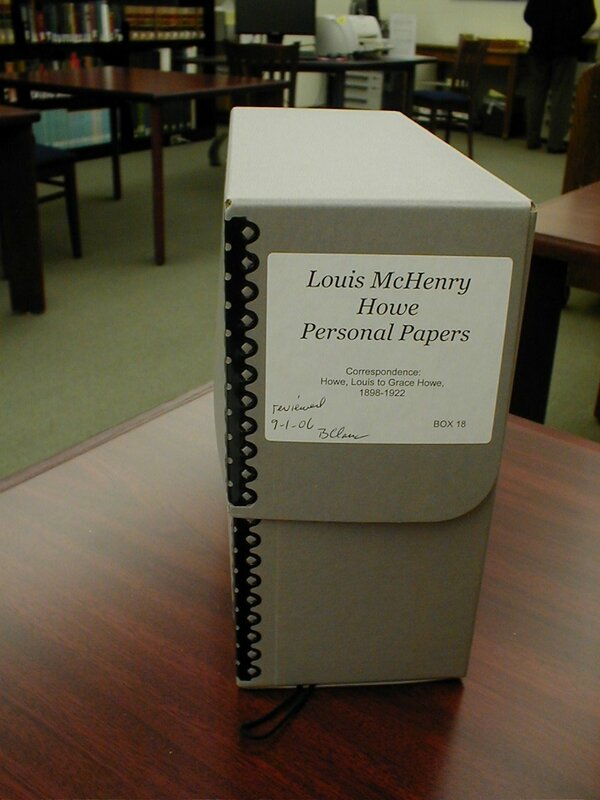 I went there to read them myself and came away with a few differing insights from Julie’s, but my mission was focused more on those letters between Louis and his wife than those between Louis and Franklin. In the letters, time and again Louis professed his love for Grace and his daughter Mary, and son Hartley, above and beyond anything else. But very early on in the marriage there were problems -within its first year in fact. Grace and her mother may have been shocked by the sudden flat-lining of Louis’ financial promise from when he and Grace were first secretly married. 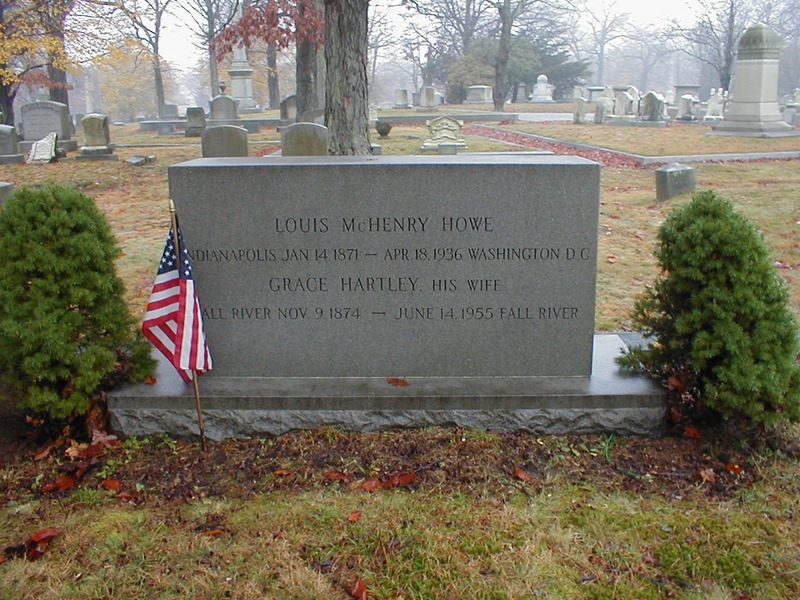 May 6, 1899 Grace Hartley marries Louis McHenry Howe in a formal ceremony at the Church of Ascension in Fall River. 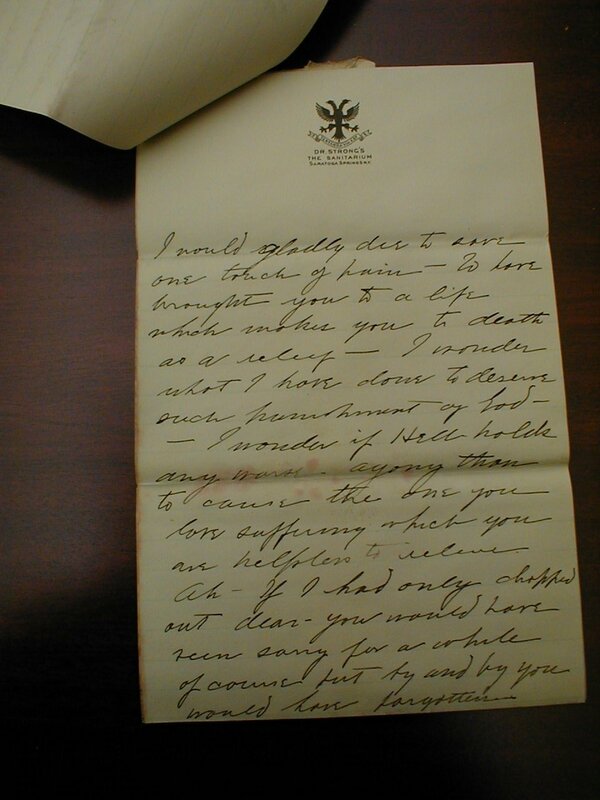 Grace’s letters were far different from Louis. They were not filled with terms of endearment or expressions of love. As Julie stated in her book, they were written more like a sister to a brother. But they do reveal a woman very much interested in local Fall River as well as national politics. 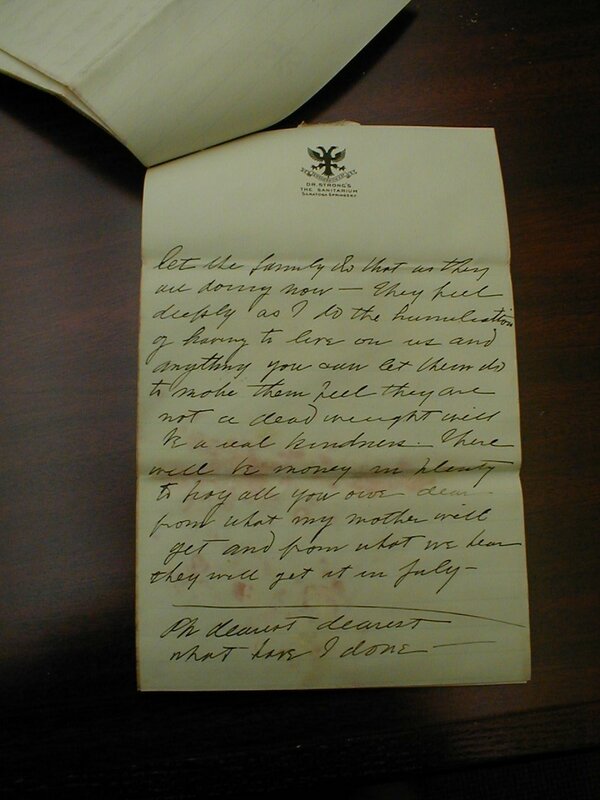 Grace wrote often of her civic and social service involvements and activities and of her family members, cousins Bessy and Bertha who visited often. 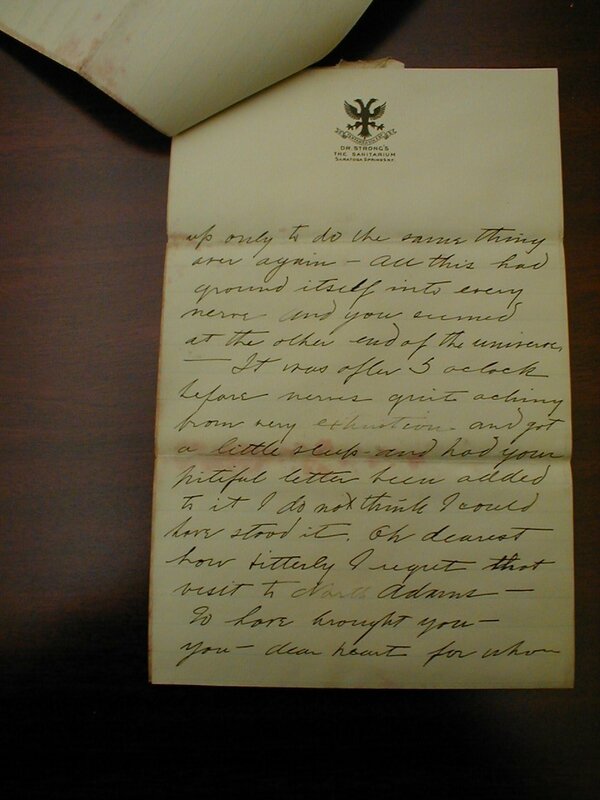 The letters between Grace and her mother (Mary J. Borden Hartley) reveal much about how Grace was raised, transparent of being a “Borden”. Prior to her marriage, Grace lived her young life much the way Lizzie would have wanted for herself. Grace’s passions extended to the love of animals, antiques and helping the poor – the same as those of Lizzie. 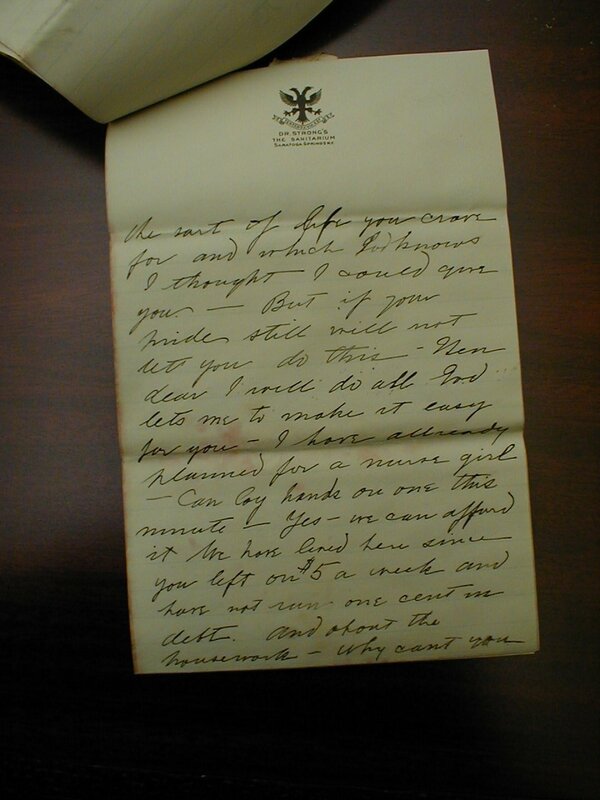 In reading those letters over and over (the library allows you to take digital pictures of the letters and I captured them all) I was struck by another common bond between Grace and Lizzie: Louis made the decision to live most of their married life with the Roosevelts rather than with his own family. Could it be that Grace and Lizzie shared feelings of abandonment – Grace by her husband, Lizzie by her sister? Animals, anitiques, abandonment and concern for the poor – threads that bind. An excellent biography on FDR which includes the importance of Louis to FDR’s political rise is FDR: An American Experience Part 1 (1994) available thru Netflix. Or, you can view it online at this link. This documentary also has some terrific footage of LMcH, some where he actually looks handsome. The more I read about Louis the more I myself am conflicted about his sincerity with regards to his profestations of love in those letters to Grace. When you love someone you want to be with them – share your lives together. Louis chose to live with Franklin and Eleanor. 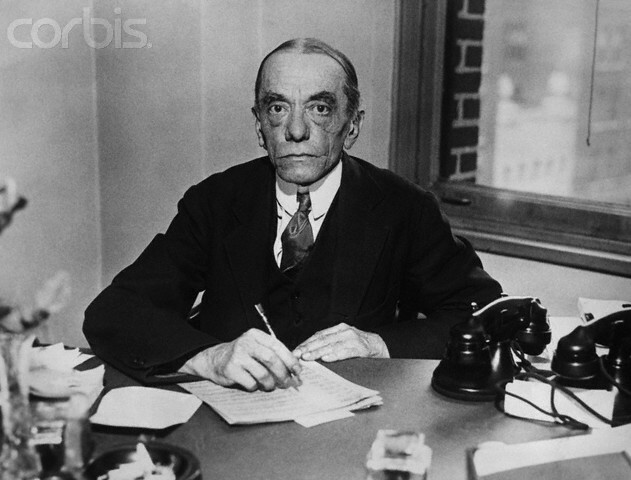 Louis was totally devoted to FDR. Did that devotion supercede his love for Grace? Was he truly a man conflicted? Was it a deeply torturing guilt that guided his hand to paper and write with false conviction? I have found it written by Hartley Howe that he never felt close to his father, that he never felt he really knew him. 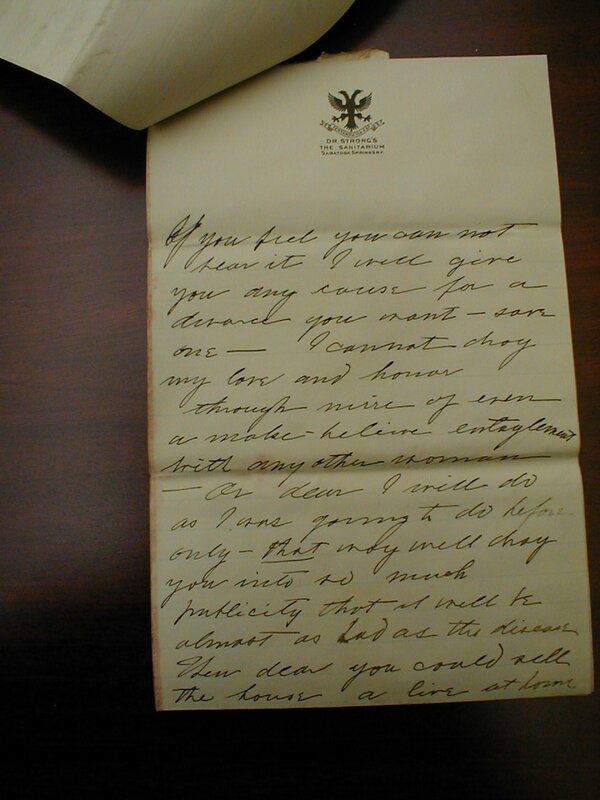 Very-interesting post, and I appreciate your including images of the two letters from Louis Howe to his wife. May I call your attention to a glitch? 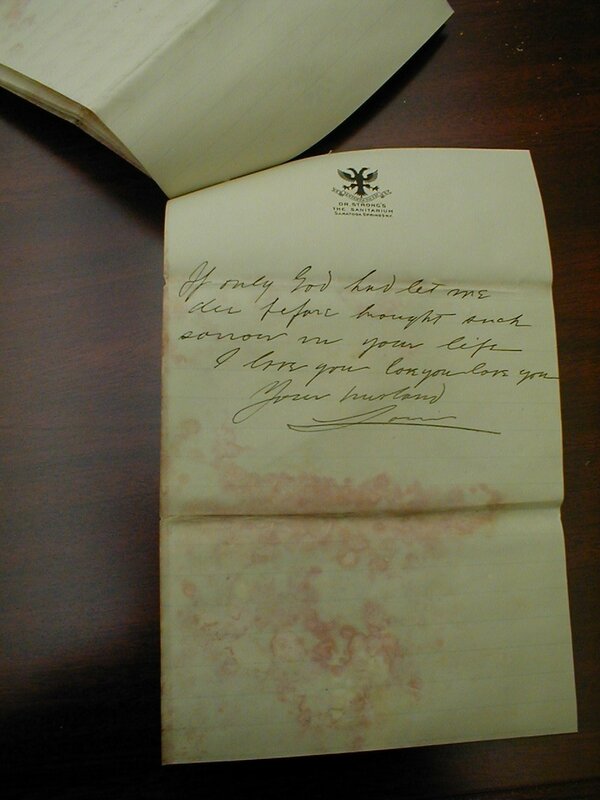 In the first letter, “dated 1900,” on “Dr. Strong’s/The Sanitarium/Saratoga Springs” stationery, the image of the first page of the letter links (when clicked) to that letter’s second page. 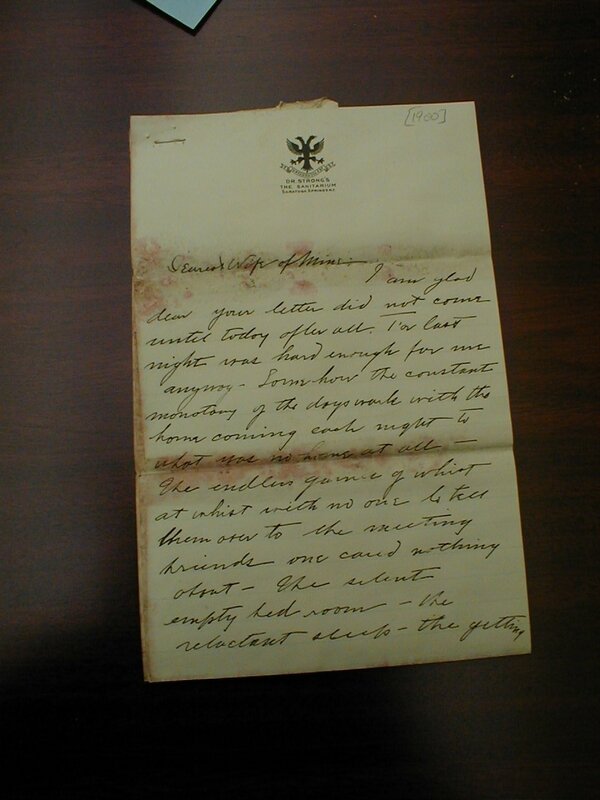 I would be grateful if you would correct the link, so that I could read that letter’s beginning. Thanks, Kevin. I’ve made the correction. & added a couple more images. Email me if you’d like to see another letter and I’ll send it privately. >Email me if you’d like to see another letter and I’ll send it privately. I sure would! Thank you. 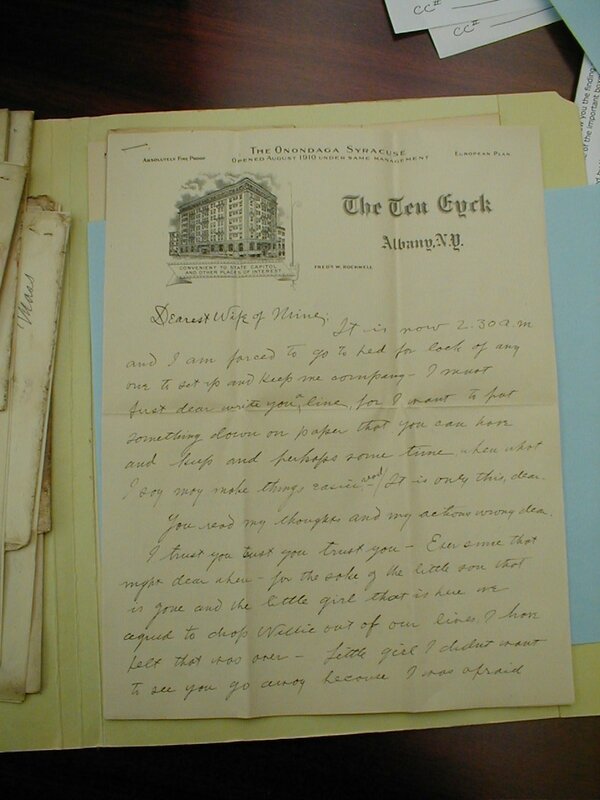 By the way, do you know the date of the second letter shown on this page, on The Ten Eyck Hotel stationery? I am an avid fan of history and the characters that put history to life. I will certainly return to read more of your postings. 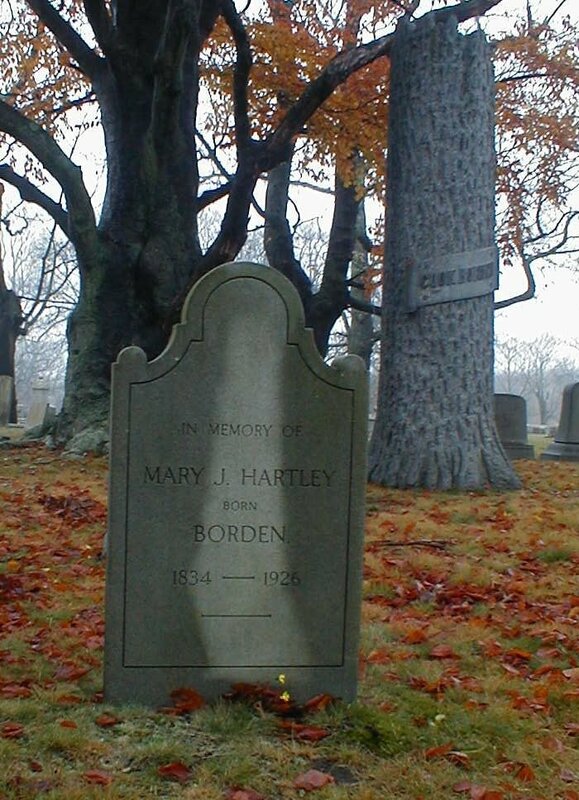 As a descendant of Hartley’s, I’d love to see the letter(s) that made you question his paternity. Thanks! Having read the letters on htis page, I to, would love to see the letter mentioned to Kevin.